I sent this to WMUR's sales department this morning and left voice messages twice. 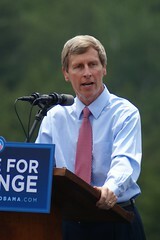 I'm an amateur photographer in New Hampshire and have taken a number of photos of various state and national politicians, some of which I license under a Creative Commons (CC) license. The CC license is a simple way to allow other people to use my work at no fee in exchange for following certain conditions. The photo in question of Governor John Lynch (http://www.flickr.com/photos/marcn/2616348625/) I've licensed under a "Attribution Creative Commons" license (http://creativecommons.org/licenses/by/3.0/us/). they endorse you or your use of the work)." The 'you' in the above paragraph refers to the person using the work, in this case NOM. The 'they' is refering to the copyright holder, in this case me. The National Organization for Marriage (http://www.nationformarriage.org/) & Cornerstone Action (http://www.cpraction.org/) has produced a TV Ad that is uses my photo but does not give me proper attribution and therefore is in violation of the license agreement. I demand Cornerstone Action and National Organization for Marriage cease and desist all use of the "He's Changed" video on the internet, cable and broadcast TV and other distribution methods. Tuesday 1:45pm -- got call from WMUR's general sales manager who talked with the SF-based Ad company. They will be re-cutting the commercial and also contacting me directly. The video on youtube.com hasn't been changed yet. Google/Youtube got back about my 2nd takedown request @ Wednesday 5:14pm. NOM has taken down the video that used my photo & uploaded a new non-infringing version of their dreck of a commercial. Hey Marc, I'm an old-timer from Rootsweb. I love that your photo has been pulled from the abominable NOM ads. Good luck on the sale to the opposing forces!